This post is sponsored by Hood Calorie Countdown. All opinions are my own. Yes, you read that title correctly. 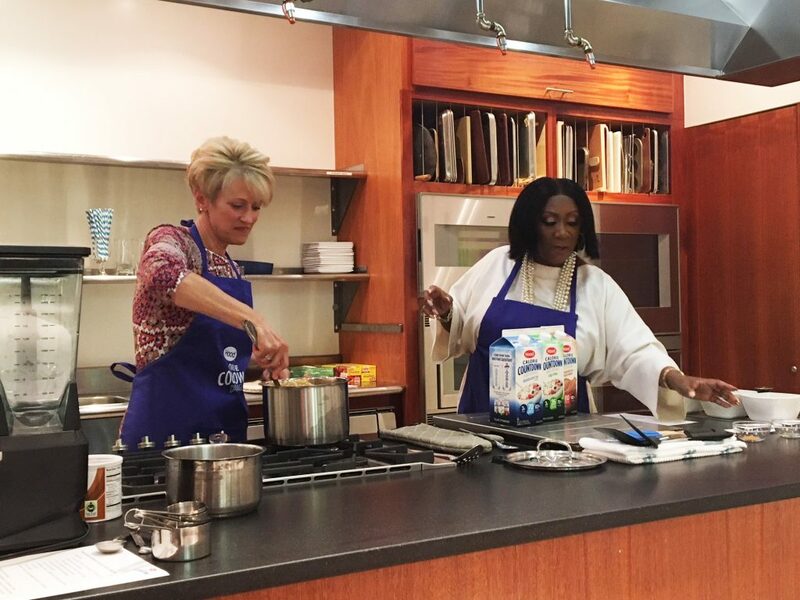 A couple of weeks ago, I had the opportunity to watch a cooking demo from – and MEET – Ms Patti LaBelle at the Boston Center for Adult Education. As in “Lady Marmalade” Patti LaBelle. The iconic singer has made a big lifestyle change since being diagnosed with diabetes, which has always run in her family, over 20 years ago. 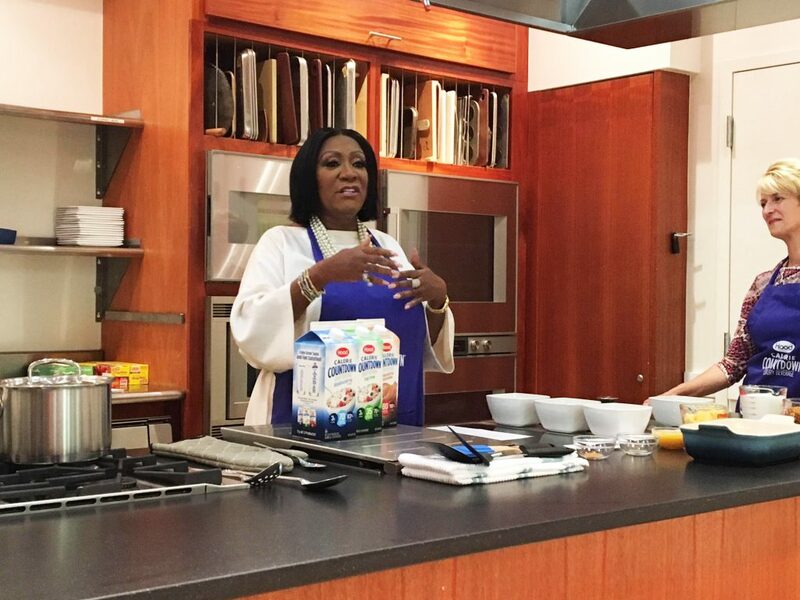 She has since partnered with Hood to help spread the word about products that can make recipes lighter, yet still delicious. 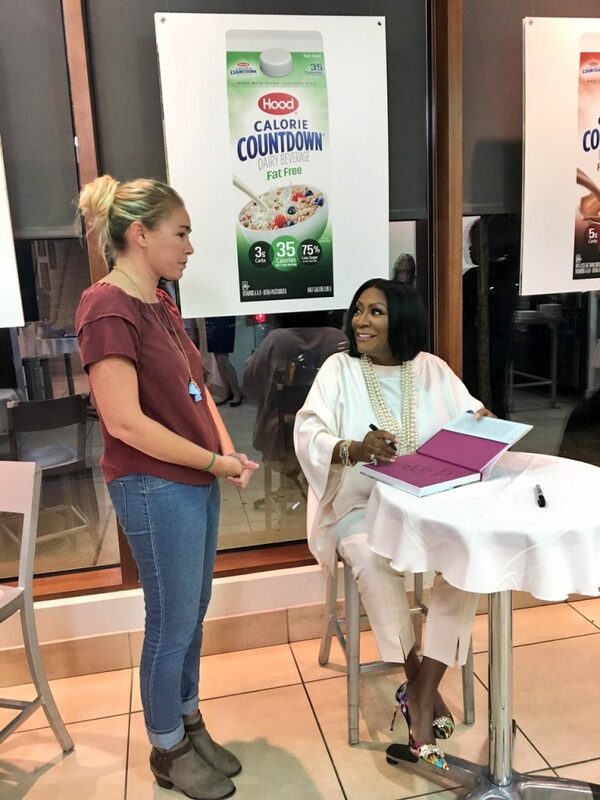 One of the products Patti swears by is Hood Calorie Countdown, a “rich and creamy dairy beverage that provides the wholesome nutrition of milk with less sugar and fewer calories and carbohydrates”. Long time readers will know that counting calories is the exact opposite of the way I try to live my life. However, I’m also all in favor of making small tweaks to recipes to make them a bit lighter. Low fat shredded cheddar? Sure, I can’t tell the difference. Ground turkey meatballs instead of beef? That’s an easy switch. 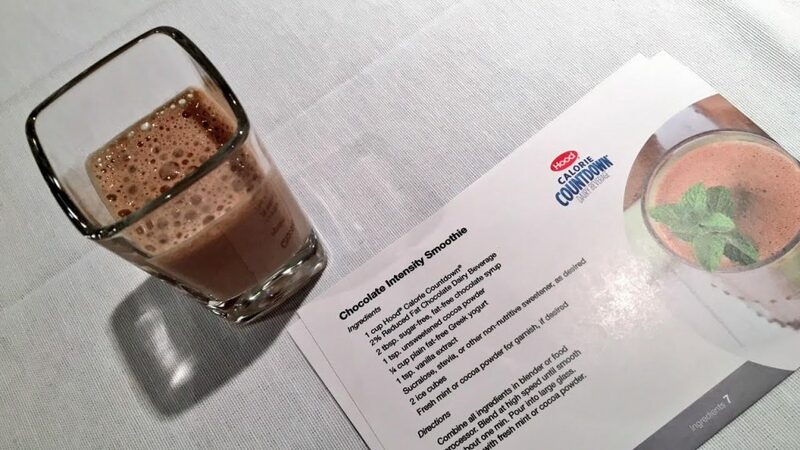 So I was intrigued by how a traditionally heavy recipe could be made lighter by using Hood Calorie Countdown instead of heavy cream, whole milk, and more. 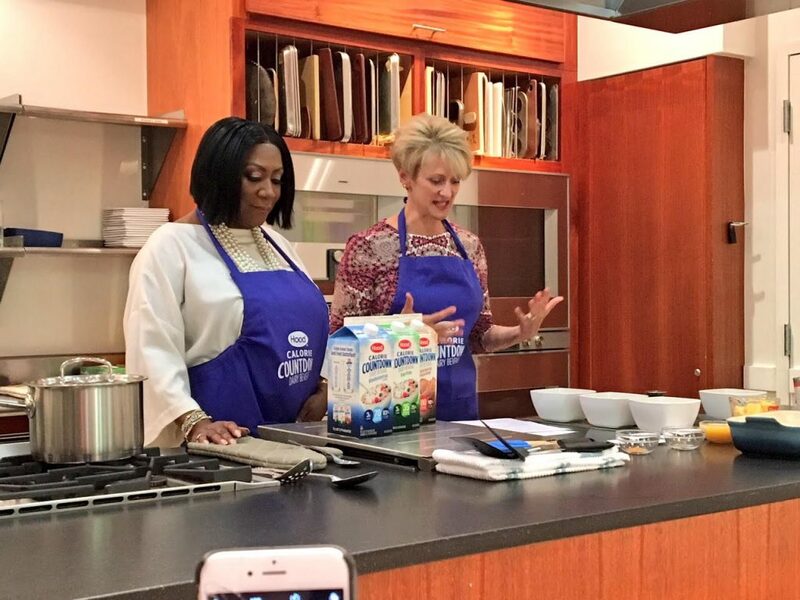 Patti was joined in her cooking demo by Hood Nutritionist Liz Ward. While the two cooked, Patti and Liz chatted about how she has incorporated small changes into her recipes to make them healthier, as well as how she sticks to a meal plan on the road. Fun fact: she brings all her pots and pans, and actually cooks! This may not be a realistic tactic for the Average Joe, but for Ms Patti, it works. 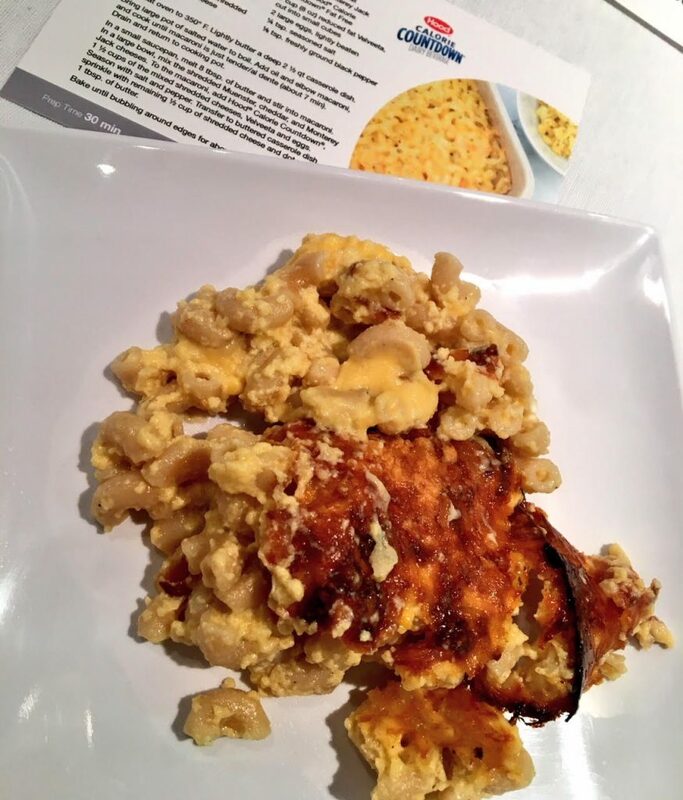 Liz and Ms Patti started by making a genuinely amazing macaroni and cheese. The recipe used four or five different cheeses, all lower fat versions, as well as the Hood Calorie Countdown and whole grain pasta (another simple swap I often use when I cook). I was thankful to get some of the crispy cheese from the top of the batch…my favorite part of mac and cheese. Calorie Countdown actually comes in a few different varieties: fat free, 2%, and reduced fat chocolate. The other recipe Patti and Liz made, a Chocolate Intensity Smoothie, incorporated the chocolate flavor. This honestly reminded me of an iced hot chocolate! The plain Greek yogurt used in the recipe gave the smoothie a nice consistency, and I can see it satisfying most sweet tooths (I know the plural of tooth is “teeth” but sweet teeth sounds gross). 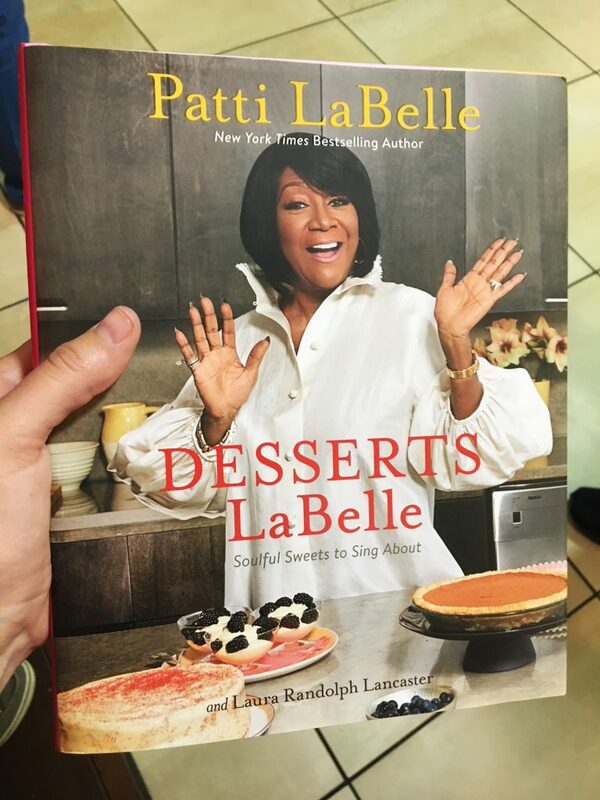 After watching the demo and sampling Patti and Liz’s recipes, we got to meet Ms Patti and ask her to sign a copy of her latest cookbook, Desserts LaBelle! The cover perfectly embodies Patti’s vivacious, sassy personality. She is truly a superstar. Patti was so sweet when we had a few moments to chat. I let her know that we share the same ultimate favorite dessert – cheesecake – and that my parents were jealous of the fact that I was meeting her. She told me to tell them hi! I’ve said this multiple times: blogging has afforded me so many cool opportunities, from trips to touring a McDonald’s kitchen. This is just another reason I am so grateful for this little hobby of mine…even if I don’t get around to writing nearly as much as I’d like to nowadays. A big thanks to Hood for having me at this really cool event! 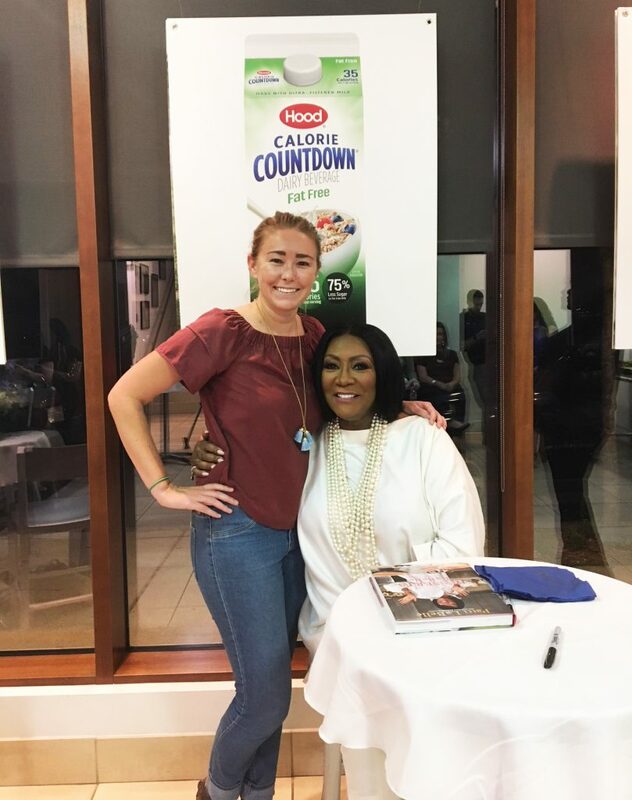 You can click here to find Calorie Countdown in a store near you, and Hood has plenty more recipes that incorporate the product on their website. What’s your favorite simple swap to make a recipe lighter? Are you a Patti LaBelle fan?